Home News Har Har Mahadev! ‘Maha Shivaratri’ is the most awaited day in Hinduism; it’s a day of our most beloved God and universally worshipped deity ‘Shiva’. He is known by many popular names one of them is Mahadeva meaning the ‘Supreme God’. Lord Shiva is one of the Gods who is revered since the ancient times. 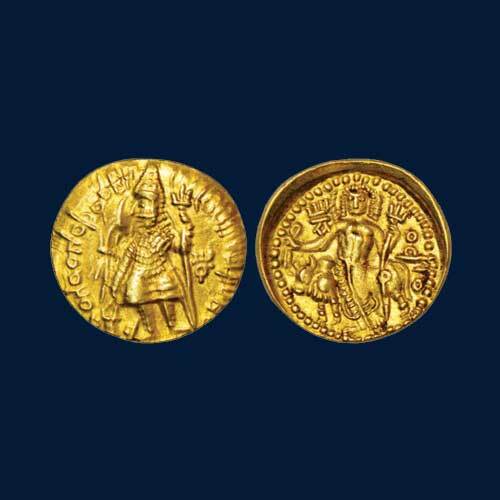 From the Pashupati seal of Indus Valley to the Ujjaini coins, Kushan coins and etc; he is depicted on various Indian coins. To read more on Shiva on coins click here. Lord Shiva’s reference is found in the books like Indica (Megasthenes) and Yoga Sutras (Patanjali). Great kings like Kanishka and Harshavardhana were known to be one of the greatest followers of Lord Shiva. Chola kings have built giant temples for him. The devotees of Lord Shiva keep waiting a full year for this auspicious day. Maha Shivaratri is celebrated in various ways. The devotees of Shiva go on pilgrimage to Jyotirlingams, some celebrate it by chanting Shiva mantra ‘Om Namah Shivaya’, praying to him, keeping fast and practising yoga. The ardent devotees stay awake full night meditating and this is known as ‘Jaagaran’. So, let us celebrate this day with great enthusiasm and till keep chanting ‘Om Namah Shivaya’.